1954 Philip Morris Cigarettes original vintage advertisement. No other cigarette gives you this assurance... this smoking pleasure. 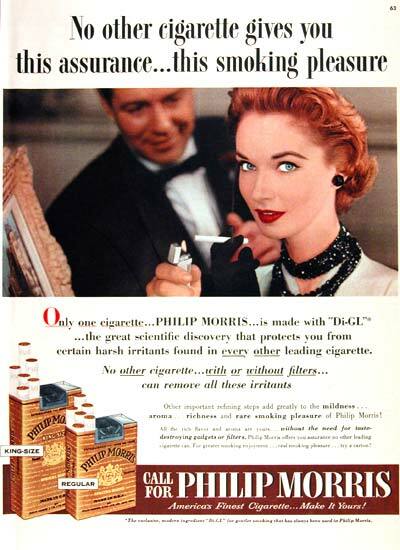 Only one cigarette... Philip Morris... is made with Di-GL.